Mother Nature must have been confused when she recently ushered in a huge mass of warm air during the time of year that should be frigidly-frigid. 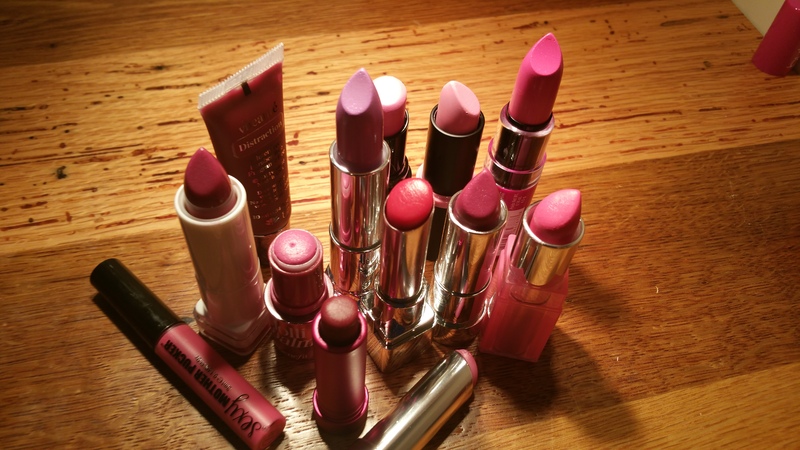 Rather than fight it, I’m joining in the chaos and pulling out some springy lip colors in the purple zone. By the way, the color violet is somewhere between purple and blue so technically I am not showing you anything violet. Just wanted you to know that. And quick, what movie is this from? : “You’re turning violet, Violet!” (answer at bottom of page). 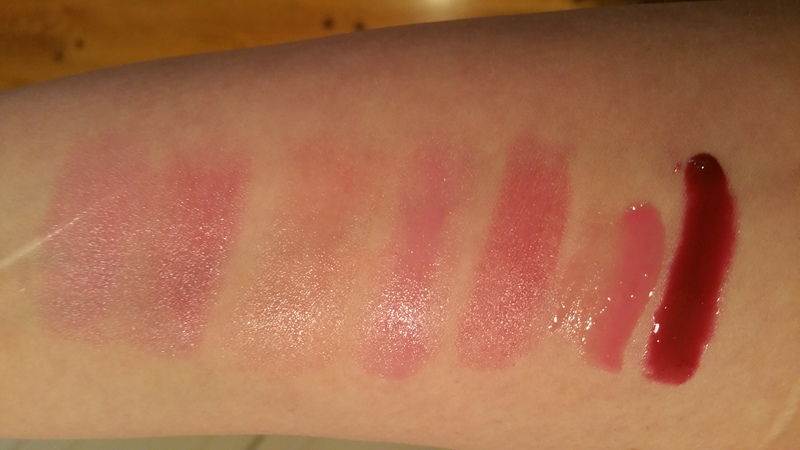 Today’s swatch line up consists of a broad array of lip products in many brands and of many consistencies. 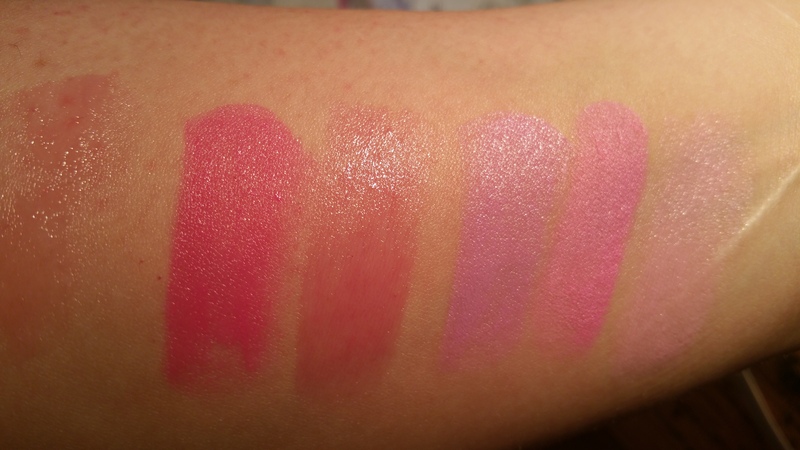 Let’s begin with: Essence, Wet-n-Wild, Maybelline, Cover Girl, NYX, and Dior Addict. Oh and by the way, I happened to find a new favorite in this bunch and it was quite unexpected! 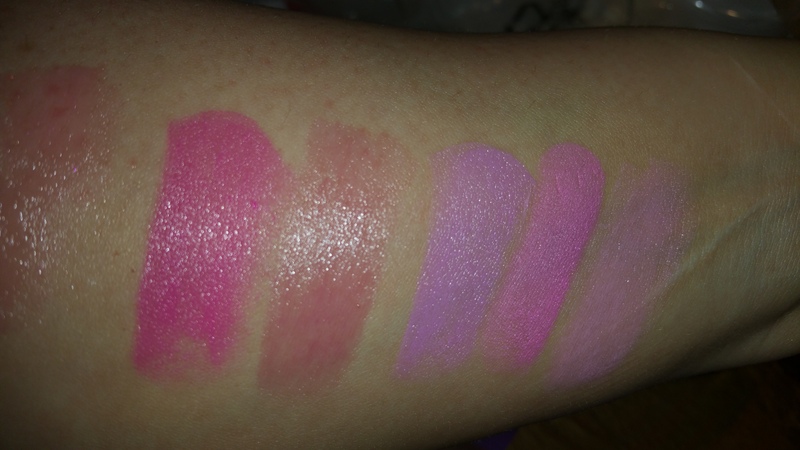 Left to right: Dior Addict Lip Glow – Lilac 005, NYX Butter Lipstick – Razzle Fiesta, Cover Girl Oh Sugar! 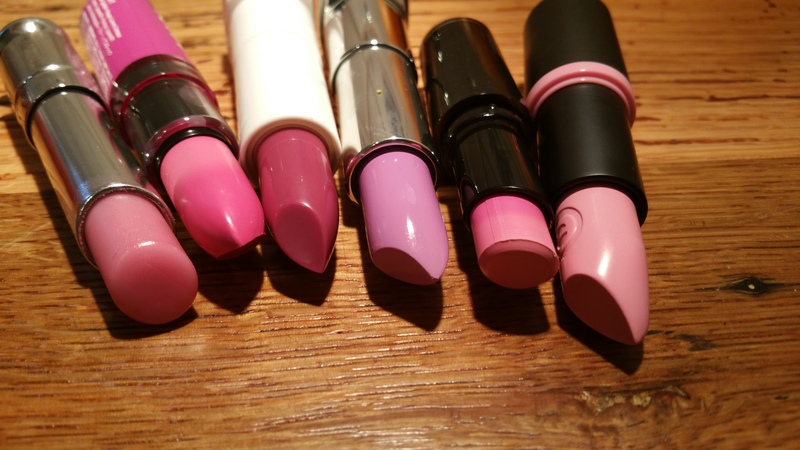 – Jelly 9, Maybelline Colorsensational Lilac Flush 725, Wet N Wild Lipstick – Dollhouse Pink 967, and Essence Longlasting Lipstick – Get the Look 20. 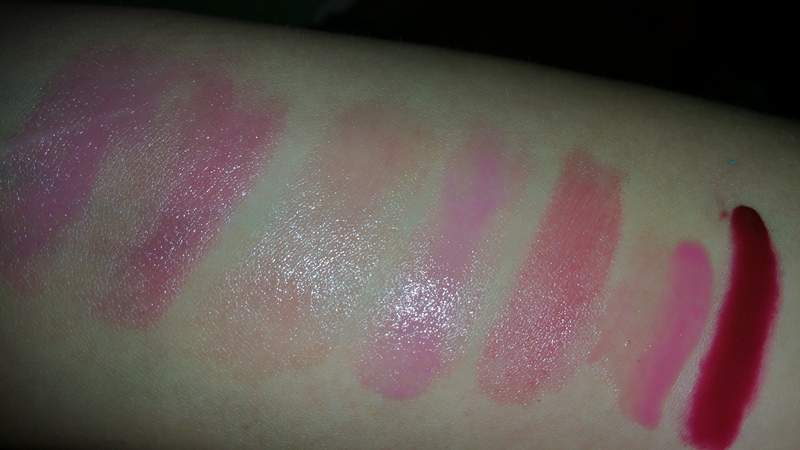 Swatches left to right: Dior Addict Lip Glow – Lilac 005, NYX Butter Lipstick – Razzle Fiesta, Cover Girl Oh Sugar! 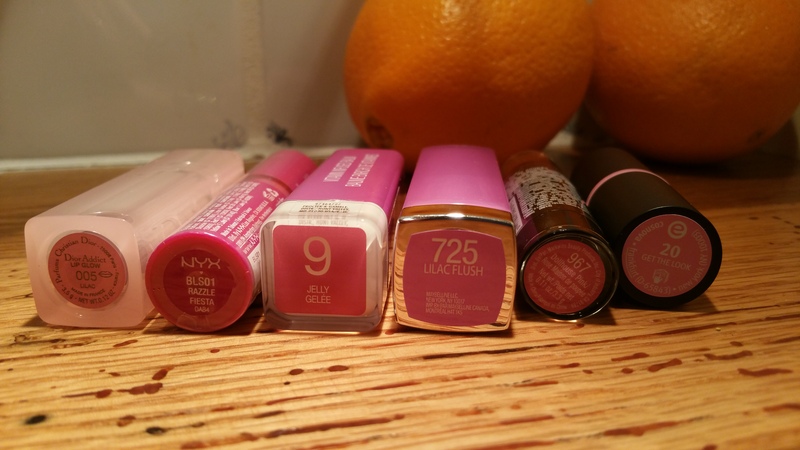 – Jelly 9, Maybelline Colorsensational Lilac Flush 725, Wet N Wild Lipstick – Dollhouse Pink 967, and Essence Longlasting Lipstick – Get the Look 20. The photos will tell you a lot about the formulas of each and where they fall on the purple to pink spectrum. Dior Addict Lip Glow – Lilac 005 is of course a color adjusting lip product, and therefore is purplish compared to it’s Lip Glow – Pink 001 cousin. 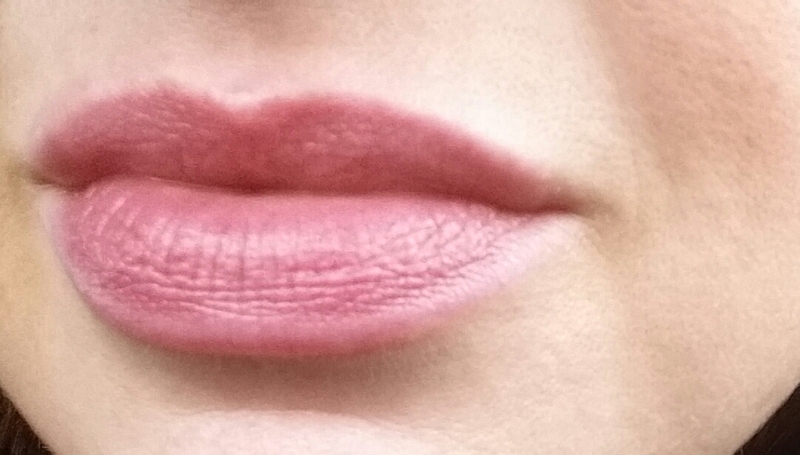 NYX Butter Lipstick in Razzle Fiesta turned out to be more fuschia than purple, and Cover Girl Oh Sugar! in Jelly 9 was sheer and glossy. Maybelline and Wet-n-Wild gave great color pay off and Wet-n-Wild, especially, has amazing staying power. Finally, Essence Longlasting Lipstick was anything but long lasting and turned out sheer. Of all six above, I was most pleasantly surprised by Cover Girl Oh Sugar! 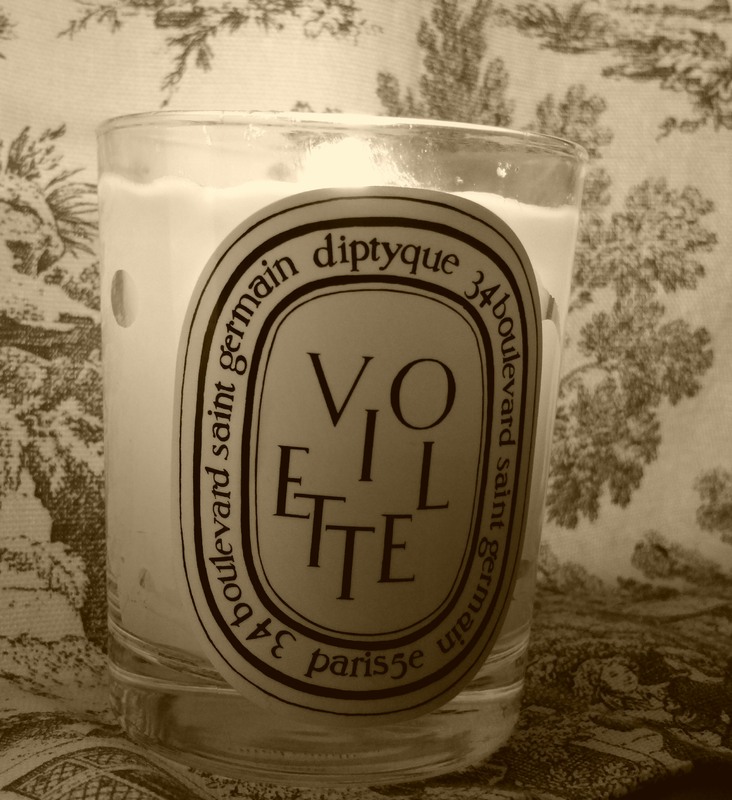 because out of nowhere it came at me with the scent and feeling of a Fresh f21c Sugar Lip Treatment. I was just thinking, “the more the merrier” and about to sing Kumbaya, when my ringing phone brought me back to reality. Oh man, was I up to my ears in purple or what? But the upside of all this swatching is that I rediscovered some old favorites and found a brand new lip balm, that comes in many colors! Well now, that wasn’t so wacky after all!